Billshrinkers, Inc. is one of the oldest, established mental health billing services in the United States. We have been servicing mental health professionals including Psychiatrists, Psychologists, Social Workers, Marriage and Family Therapists, Professional Counselors, Licensed Alcohol and Drug Counselors, and Psychiatric Nurse Practitioners since 1997. Billshrinkers, Inc. is a government certified, nationwide billing service exclusively for mental health professionals run by a psychotherapist who understands the demands of seeing large numbers of patients, while at the same time having to manage accounts, track managed care, bill insurance companies, and provide patients with accurate, timely statements. Our staff of account managers fully understands your needs and has the skill and experience to collect from insurance companies — WE GET RESULTS. Never again will you wait on hold incessantly with insurance companies only to be disconnected! Our goal is for you to always collect 100% of what you earn! Billshrinkers has been servicing mental health professionals for twenty years. We have repeatedly been successful in collecting previously denied claims, sometimes going back several years. Our primary goal is to take the burden of dealing with insurance companies off the shoulders of the Psychiatrist, Psychologist, Social Worker or other practitioner by providing timely transmission of claims and ensuring thorough, accurate reimbursement from insurance companies and patients. We have the experience and the know how to get the job done right! Billshrinkers will give you peace of mind in the form of an efficiently run practice. 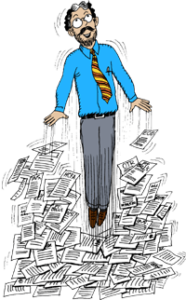 We will reduce your anxiety by giving you freedom from the stress of billing and clerical chores. Most of all, we give you time to enjoy life! Philip Yucht, Ph.D., Director of Billshrinkers has been a psychotherapist for over 40 years. He was a math major for two years in college, graduated with a master’s degree from Columbia University School of Social Work, and has a Ph.D. in Counseling Psychology. He is currently the Private Practice Consultant for the National Association of Social Workers – New Jersey Chapter. He is the Director of a group psychotherapy practice and has been successfully managing all aspects of mental health billing for over 35 years.